It's the WarioWare bomb as the logo for the Wario Steakheads! If you find any references feel free to post them here. Oh, I would have loved that so much! In Mario Kart 7, there's a couple of references to, believe it or not, Wario Land. 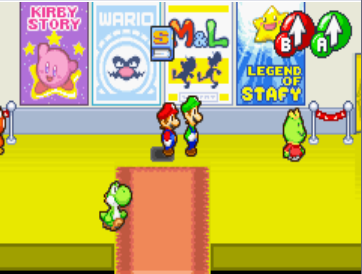 The first (and more obvious one) is some artwork of Wario with the Bull Pot from Wario Land: SML3 above the entrance to a corridor. The other easter egg is the music. The rendition is a remix of sorts of the original Wario Land theme from the first two titles (the part with the brass instruments near the beginning is straight from the theme itself). I think it sounds mostly like the boss music from WL 1. Do you mean the main theme from Mario Kart 7? No, the main theme from Wario Land. -Greenhorn forest from Wario World got a remix in DDR Mario mix. -The Wario land 3 theme plays during Warios trophy celepration in power tennis. The Wario courths, shoulder charge in world tour,sleeping animation/wild swing ding in brawl ans the arcade Diamond city racetracks, have their own threafs already, so if youre courius check them out!